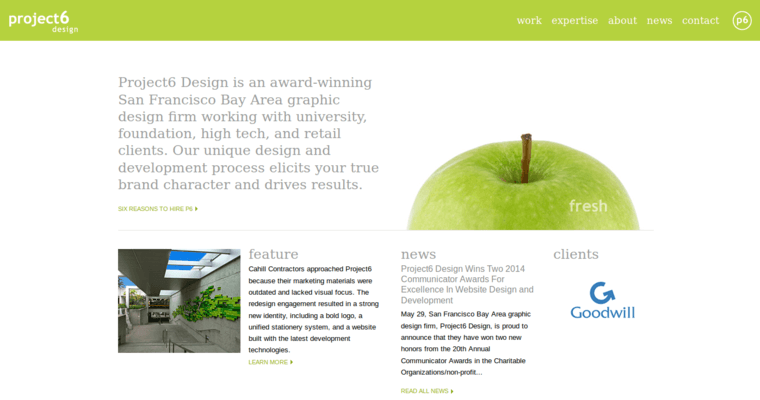 Project6 Design is a Web design firm based in the San Francisco Bay Area. They have won numerous awards for their innovative graphic design and Web development, including three Standard of Excellence Awards, two Communicator Awards for Excellence in Web Design, the Innovation and Visual Design Award and the Responsive Web Design Award, among many others. 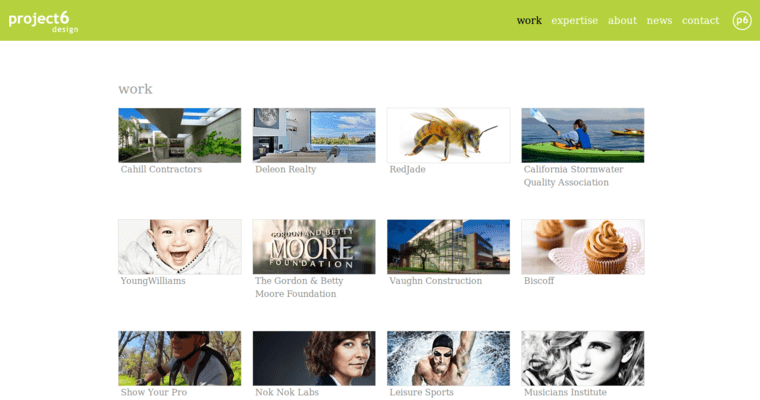 Part of the reason for their recognition is their careful attention to client needs, including a strong adherence to effective business practices, such as a commitment to deadlines and project budgets. For every project, they carefully hand-pick team members who can offer the best results for the client, and they work closely with clients during the consultation and collaboration phases of each project. They don't stop working with clients after their websites go live on the Web, either. 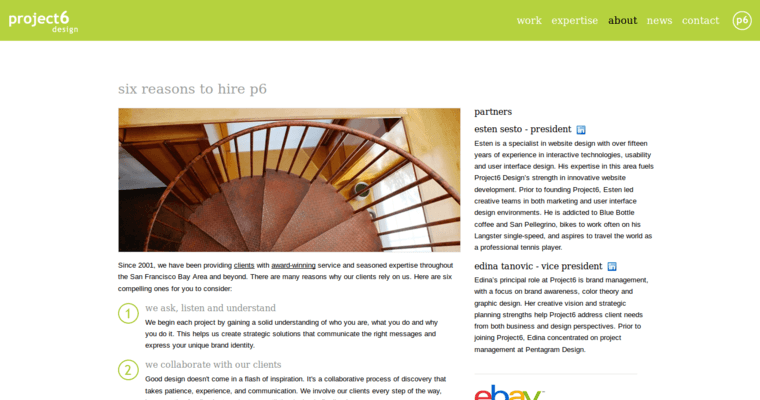 Project6 continues to nurture their creations to ensure they remain successful and that their clients remain satisfied.